Due to the federal government shutdown lot of federal employees are struggling and TSA employees are most affected ones, we did our bit to help them. 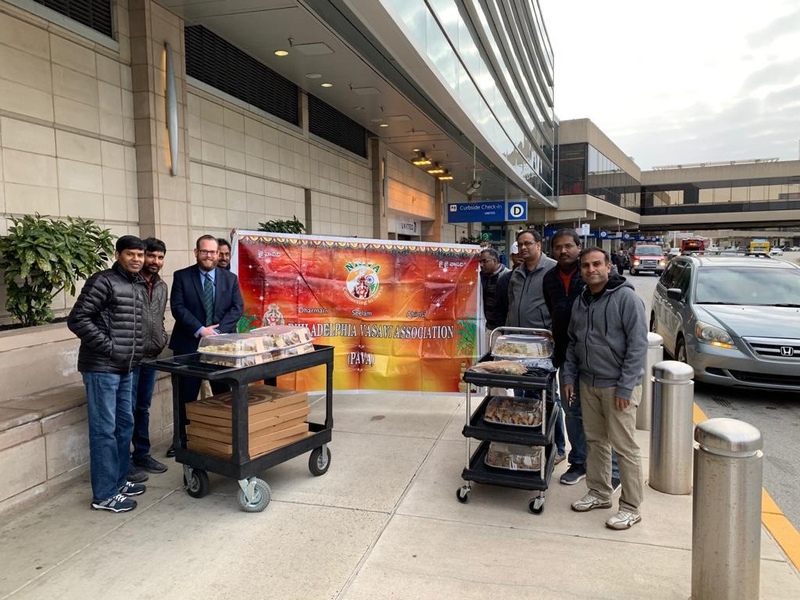 Philadelphia (PAVA) & Delaware (DEVA) chapters of NRIVA decided to offer lunch on 26th January to TSA ( Transport Security Authorities) employees. Food was ordered at Weagmans and delivered to Philadelphia International Airport. TSA employees were very happy with our generousity and they were very thankful. Very proud of all the vasavites from both DEVA and PAVA who came forward donating very generously. Without them this wouldn’t be possible. Together PAVA and DEVA raised and spent $1345 for this good deed. Lunch was provided 460 TSA employees. We like to share this with the extended NRIVA family around the globe.